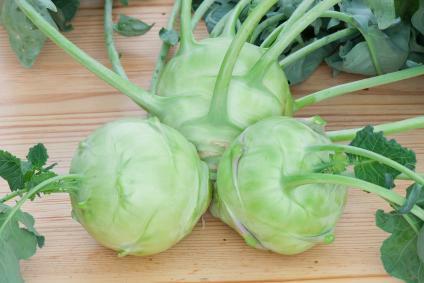 Kohlrabies are an often overlooked vegetable, but they are very versatile and can be eaten raw or cooked. The flavor is reminiscent of broccoli stems, but with a slight sweetness. The entire plant is edible, and you can prepare it using just about any method you can think of, including roasting, steaming, and baking. The following recipes offer different ways to prepare this vegetable in dishes suitable for any season. 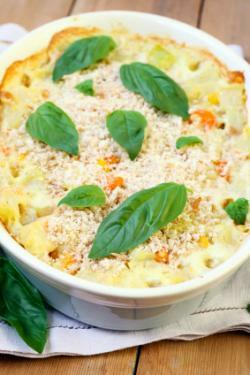 This casserole makes a delicious vegetarian main dish or a wonderful side dish. Pungent feta really adds a boost of flavor, but feel free to substitute any cheese you like. In a large fry pan, sauté the onions in the butter until slightly translucent. Add the cornstarch and seasonings to the onions, and stir until well combined. Slowly add the milk to the onion mixture, stirring constantly, and bring the mix to a boil. Reduce the heat and continue cooking the mix until it reduces and thickens, stirring just enough to keep it from sticking to the bottom of the pan. When the onion mixture has thickened, stir in the kohlrabi and carrots. Coat a 2-quart casserole dish with more butter, and pour the mix into it. Put the casserole in a 350° F oven, and bake for about 20 minutes. Remove the dish from the oven, and sprinkle the feta cheese over top evenly. Return the dish to the oven and bake for another 5 to 10 minutes to heat the feta. Garnish with fresh basil leaves and serve. This soup just might become one of your favorite comfort foods for a chilly day. Pair it with freshly-baked bread, and you have a real winner of a meal. In a stock pot, melt the butter. Add the onions and sauté until tender. Add the diced kohlrabi and sauté for another 8 minutes. Pour in the stock and milk, and add the bay leaves and seasonings. Bring to a boil and then reduce the heat and simmer until the kohlrabi is completely tender. Use an immersion blender to purée the the soup. 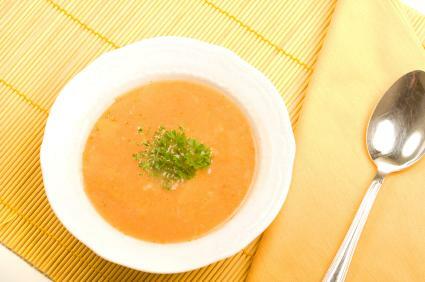 Ladle the soup into bowls, garnish with some parsley, and serve. These chips go great with sandwiches, or you can snack on them with your favorite beverage. 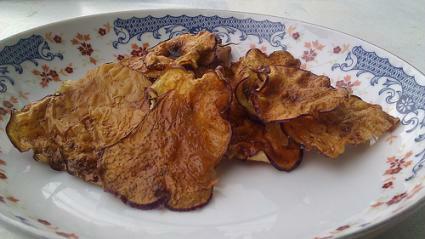 Peel the kohlrabies and slice them into thin disks. Spray non-stick cooking spray on two baking sheets. Arrange the slices in a single layer on each sheet. Using a pastry brush, dab olive oil on each slice. Sprinkle each slice with paprika and salt. Place the sheets in the oven and bake until the chips are golden brown. This light salad makes a delicious summer side dish. To julienne your kohlrabi, peel it and slice it thin, and then lay each slice flat and slice it into thin sticks. 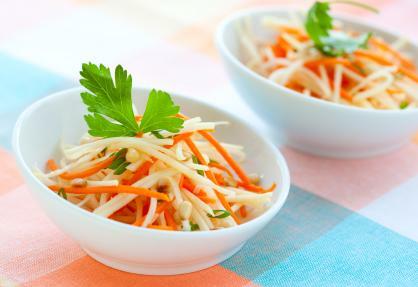 Combine the kohlrabi, carrots, green onions and pine nuts in a large bowl. Drizzle the mix very lightly with the dressing and toss well. Chill in the refrigerator for about two hours and toss again. Scoop portions of the slaw into individual bowls, and garnish with a little parsley before serving. Feel free to experiment with kohlrabi, and try substituting it in your favorite potato, cabbage, and broccoli recipes. The subtle difference in flavor can make old dishes new again.